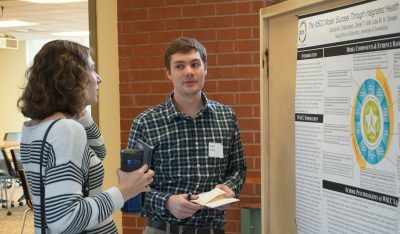 The Center for Behavioral Education and Research (CBER) in the Neag School of Education at the University of Connecticut is hosting its 8th Graduate Research Symposium, an annual student-led conference, on May 10, 2017. This is a great opportunity for you to present your own research posters to a large number of people! Please go to the link below and submit your proposal by Monday, April 16, 2018. If your poster is selected, we ask that you set it up by 8:00 a.m. on the day of the event. If you have any questions, please feel free to contact CBER Graduate Assistant Hao-Jan Luh at hao-jan.luh@uconn.edu. We look forward to receiving your proposal!